I dread going out to the hen house this morning. Yesterday was a day like any other. All the chickens were out running free for the better part of the day. I went in the coop around 4pm to gather eggs and a couple of hens were in there squawking and carrying on. Around 9pm I went out to lock them in for the night and found her lying directly below the roosting bars. I thought she might have fallen and broke her neck. The roosting bars are fairly low to the floor and a fall would not do any real damage. She was probably sick and fell off after she died. We'll never know as the rest of 'em aren't talkin'. I don't much like it. I had a rooster turn blue and die a couple of weeks after being attacked and de-feathered by a hawk. 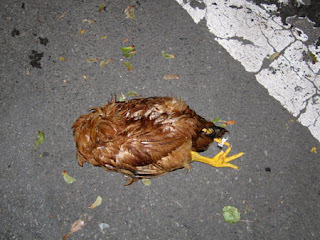 And one rooster that died from mites. The bottoms of his feet were hollow. You never know what's coming and each one teaches you something. I had no idea...! May the Lord bless you today, Cyn. Sorry to read about the chicken. I bet it was a shock to see her lying there below the roosting bars. I hope this is a one time thing. So sorry about you r chicken.I always feel bad when one of ours dies.....except when it is for us to eat,but that is different. Oh no, so sorry to hear that. Hopefully it was just a heart attack or something and the others will be fine. Oh, I am SO sorry! It is one thing to intellectualize the circle of life, and another thing entirely to have it tug at your heartstrings. How sad! Hm, I wonder what it was? Sorry for your loss. Sorry to hear about your chicken. Hopefully it isn't something the other chickens can get. We would have that happen sometimes for no apparent reason. Man I hate that. Alive and well one day, dead the next with no apparent reason. I too hope it is not something contagious. Too bad the rest of the birds aren't talkin'! I'm so sorry to hear about your loss :( I had lost alot of my larger burds last year to heat stress. Its so sad to see them alive and happy and then passed a few hours later :( I hope it only the one! I am so sorry for your loss, I sure know how you feel, I lost several a few years back, and each one broke my heart, you say you get attached to chickens??? 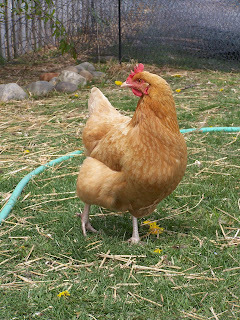 YEP they are part of my daily life, alive and made by God, I do love them chickens as I do all God's little creatures. Hugs and hope you do not loose any more. I'm so sorry for you. I know I have a friend who raises chickens and they are juat like dogs and cats to her. Foxes are getting some of her chiccks. I'll have to take picture and show you her layout. She is such a neat p erson, just like you!! I have had chickens for years. Several times I have had one of them die for no apparent reason and the rest show no illness or other bad effects. 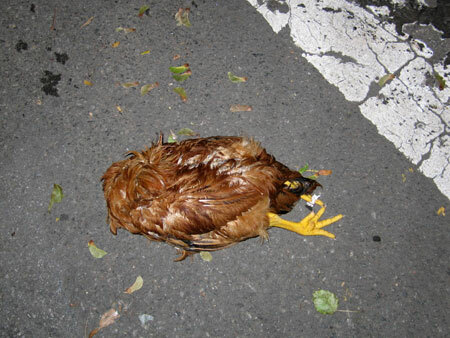 Sometimes it is just a mystery but not necessarily a precursor of other chickens dying. Chances are good that you won't have any more casualties.